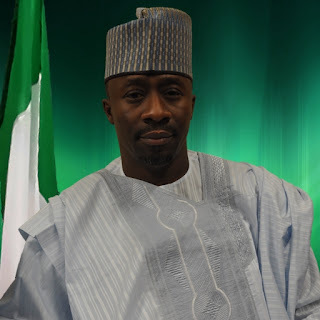 Aminu Mani Ashiru (born 1972) is a member of the Federal House of Representatives, representing the Mani/Bindawa Federal Constituency of Katsina State, under the platform of All Progressives Congress (APC). He attended Government College Katsina where he obtained Senior School Certificate in 1990. He did his first degree at Bayero University Kano and proceeded to Abubakar Tafawa Balewa University Bauchi for his Masters degree. Aminu Mani Ashiru worked as a computer analyst with NSRMEA Kaduna. He also worked as a Senior Accountant and Principal consultant with the NSRMEA Kaduna. In the year 2011, Aminu Mani Ashiru was elected into the Federal House of Representatives where he represents the Mani/Bindawa Federal Constituency of Katsina State. He was re-elected in the year 2015 under the platform of All Progressives Congress (APC). His legislative interests border on making public oriented bills and robust over sight. He targets effective and efficient representation. President mathematics students association of Nigeria, Bayero University Branch Kano. 1997. Biography of Aisha Buhari; First Lady Of The Federal Republic Of Nigeria, Politician, Adamawa State Celebrity. Biography of Maupe Ogun, TV Presenter. Copyright 2015 Nigerian Biography. Simple theme. Powered by Blogger.